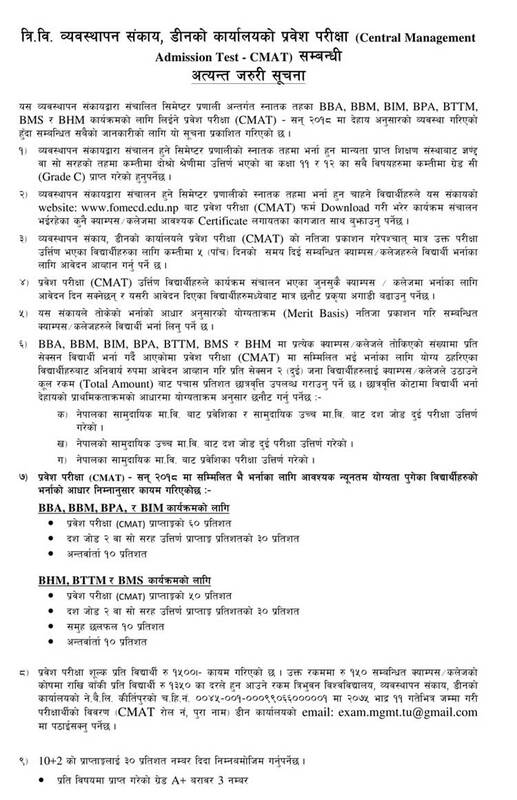 Tribhuvan University Faculty of Management Office of the Dean Announces Admission to Bachelor of business administration (BBA) / Bachelor of information Management (BIM) / Bachelor of Hotel Management (BHM) and Bachelor of Travel and Tourism Management (BTTM) , Bachelor of Public Administration (BPA), Bachelor of Business Management (BBM) and Bachelor of Mountaineering Studies (BMS). 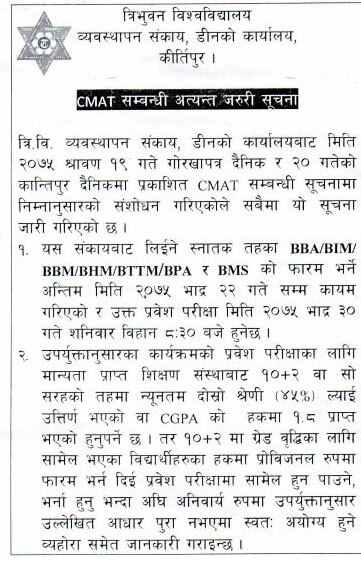 > Minimum grade 'C' in all the subjects of 11 and 12 or minimum score of second division marks in 10+2, PCL or Equivalent in any discipline. 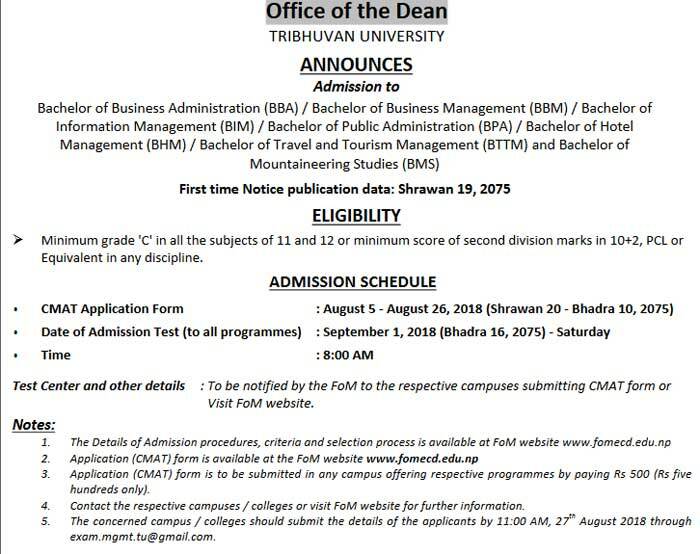 > The concerned campus/colleges should submit the details of applicants by 11 AM, 27th August 2018 through exam.mgmt.tu@gmail.com.